This is a simple version of my dream bag. I need to make the lining and sew the handle to finish it. So excited!!! 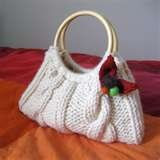 This is a very easy bag to be knitted. I was chatting with a friend on MSN and knitting it and then..finished!!! 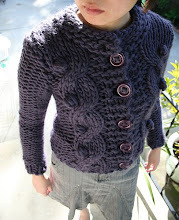 It made me realize how chunky it would be with 2 strands of DK yarn. 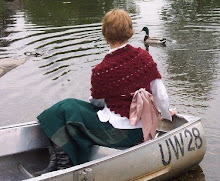 and I also make 43 rows although I would like to make 51row but I didn't have enough yarn for cast off. but I think 51 row is a bit long. It should be a very good bag for tesco or lunch shopping bag! P.S. the yarn was left-over from my first scarf! How amazing it's just about right!